The cave of Santa Catalina with Upper Magdalenian, Late Magdalenian and Azilian occupations is one of the key sites for the study of the last Paleolithic hunter-gatherers of the Cantabrian Region. A detailed monograph edited by Eduardo Berganza and José Luis Arribas (2014) has been recently published with all the studies relative to site’s stratigraphy, chronology and biological remains (plants, fauna, human). Also, a paper by Roselló et al. (2015) dealing with fish remains has been just published in JAS Reports. These results were also presented by E. Berganza at the Arkeologi Museoa in 2012 (video). The material culture (lithic and bone industry, portable art) will be published in a second volume. 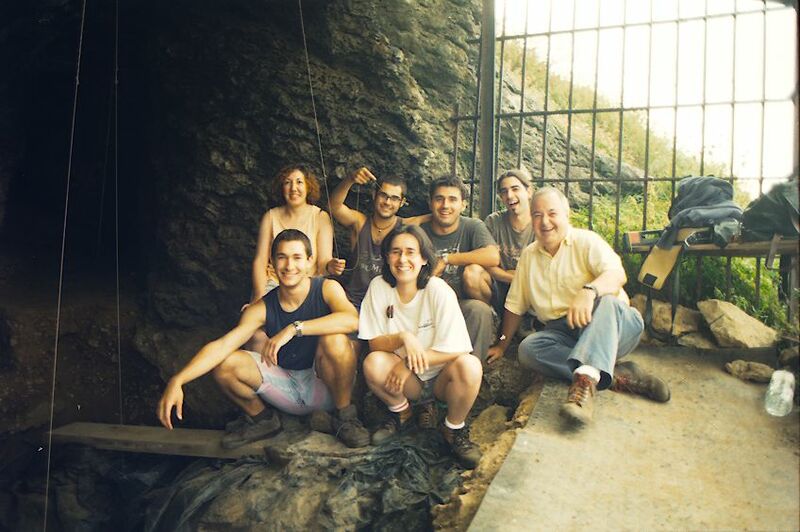 In 2000 I participated in the excavation of Santa Catalina under the direction of Eduardo Berganza. It was my third prehistoric excavation and it was totally different from anything else. 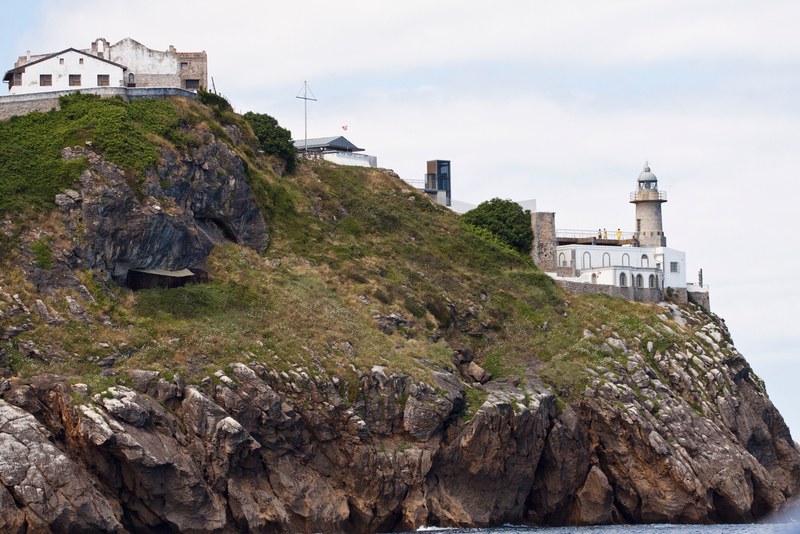 The site is located in a breathtaking landscape, hanging over the sea in a limestone cliff, close tho the Santa Catalina lighthouse and convent, in the beautiful coastal town of Lekeitio. Accessing the cave was an adventure itself, but the risk was worth it. The site was incredibly rich, there was almost no sediment and grace to the careful digging and sieving we were able to recover every tiny remain left there by the occupants between 15-10.5 kyrs. Small lithic tools, bone tools, decorated tools, ornaments, bone fragments, shells, even fish-bones appeared unnumbered in front of our eyes. Santa Catalina 1999 excavation team (automatic photo by Eduardo Berganza, seated on the right side, I’m the nerd playing with a plummet). This 1999 field season was the last one of an investigation initiated in 1982. The site was initially discovered by J. M. Barandiarán, the father of Basque Archeology, in a short visit made in 1964 during the excavation of Lumentxa, an important site located few kilometers away. The excavation project started in 1982 intended to understand late Upper Paleolithic occupations in the Eastern Cantabrian Region. This objective was fulfilled and Santa Catalina can be considered one of the key sites for late Pleistocene. The site, excavated in 9m2, revealed a neat stratigraphy composed by four levels. Level IV was sterile, level III presented some fireplaces and was attributed to the Upper Magdalenian; level II has many and successive fireplaces made during the Late Magdalenian; and finally level I corresponded to the last Paleolithic hunter-gatherers of the Azilian. A total of 23 radiocarbon dates bracket the human occupations at the site. Level III was formed between ca. 15-13.8 kyr cal BP, level II between 14-12.5 kyr cal BP and level I between 12.5-11 kyr cal BP. The detailed analysis of the variation of different biological remains is representative of the climatic changes that occurred at the end of Pleistocene. A trend of continuous climatic amelioration can be observed from level III to level I. The plant record is not so well preserved, specially polen remains, but the presence of juniper, pine, birch, ilex and arbutus has been documented through anthracologic analyses. The faunal record, on the other hand, is very rich. Bones and shells at the site count for thousands, with an incredible variability of species of micro-vertebrates, mollusks, crustaceans, echinoderms, fishes, birds and macro-mammals. These bones and shells were accumulated by different agents, mainly humans and birds, being informative not only for environmental reconstructions but for understanding the subsistence strategies practiced by the inhabitants of the cave. The paper by Roselló et al. deals specifically with the fish remains. With more than 4500 fish remains corresponding to 32 species (plus 11 genera) the Santa Catalina record is the richest paleolithic site in fish remains of the entire Atlantic facade, and thus is one of the best sites for describing the origins of systematic sea-fishing in the region. Previously sea-fishing was documented at sites like Cueto de la Mina or Aitzbitarte III, in this case associated to Evolved Aurignacian-Early Gravettian occupations (ca. 33-29 kyr cal BP), but on a clearly inferior scale. At Santa Catalina fishing was a complex activity involving the capture of very different species found close to the site. It probably also played an important role in subsistence strategies. The uniqueness of Santa Catalina can be explained by the quality of the excavation and the proximity to the sea-shore. Probably this record is partially biased by the role of birds as accumulator agents. Although taphonomic analysis is still in progress, the assemblage size and diversity suggest that most of the remains were introduced there by humans. Beside fishes, Santa Catalina is also very rich in other marine resources as clams, limpets, crustaceans and echinoderms. Throughout the sequence some variation in the exploitation of these resources have been identified, being more relevant at levels II (Late Magdalenian) and I (Azilian). Santa Catalina has also an spectacular birds assemblage. The analyses made by M. Elorza and V. Laroulandie, show that a huge diversity of species were hunted and used by humans, to obtain meat, bone tubes, claws and feathers. 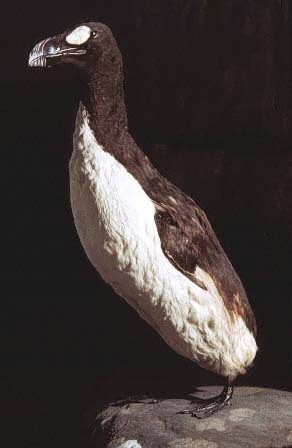 The most intensively exploited birds are the anseriformes, specially the mallard, being the most represented species in levels II and I. The level III shows a more complex record also with anseriformes but with other species as the snowy owl, the great auk or gulls. The great variability of species is interpreted by M. Elorza as the result of fortuitous captures of sea-birds that got caught in the nets displayed for salmon fishing, but the systematic exploitation of some species suggest that, maybe, they were intentionally hunted. The macro-mammal assemblage, studied by P. Castaños is also very rich. It has a typical late Pleistocene composition, dominated by red deer. Interestingly, some less frequent species as reindeer, seals and cetaceans are also represented. The presence of reindeer in the Iberian Peninsula has been thoroughly discussed in a recent paper by Gómez-Olivencia et al. (2014). In this discussion the site of Santa Catalina is very relevant because it contains many reindeer remains, even in the most recent (Azilian) levels, being the second most represented species in level III. Also, a reindeer molar recovered from level I has been directly dated in 9760+/-65 uncalBP. It is also noteworthy the presence of Crocuta crocuta (spotted hyena) teeth at level III. Until direct dating is available, and if we consider that the stratigraphic position is correct, this would be one of the latest occurrences of hyenas in Europe (see Stuart and Lister 2014, and Diedrich 2014 for more details). Summing up, Santa Catalina site has an incredible rich faunal assemblage which describes in detail the late Upper Pleistocene environment around the cave. It reveals also the complex nature of the subsistence strategies practiced during Upper-Late Magdalenian and Azilian. Many different species, from very different environments were captured and consumed there. The hunting techniques and strategies must have been also very complex and innovative, at least for capturing sea-fishes and birds, and probably the animal processing techniques were also complex, including the use of meat, bone, hide, feathers, etc. This describes a broad spectrum subsistence strategy that was not strictly driven by the need of nourishment. It was indeed highly influenced by the need of raw materials and probably by other culturally mediated needs. Berganza Gochi, E., Arribas Pastor, J.L., 2015. La Cueva de Santa Catalina (Lekeitio): intervención arqueológica. Restos vegetales, animales y humanos. 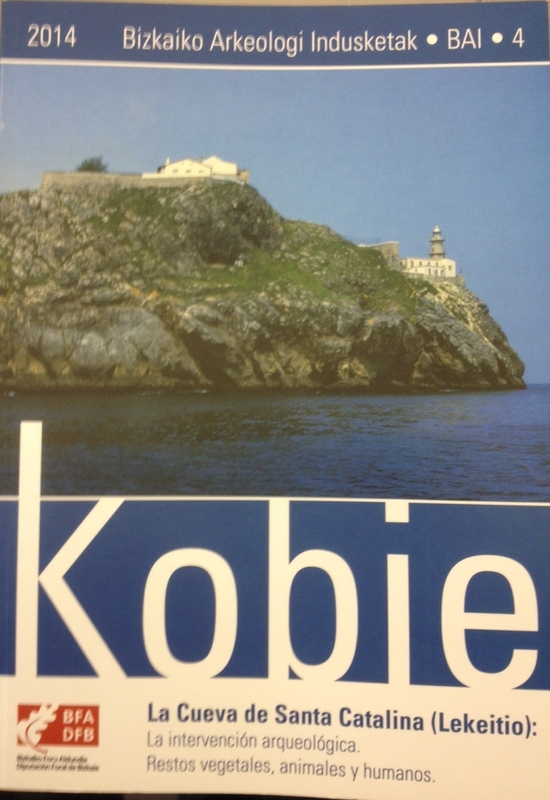 Kobie (Serie BAI), 4. Diputación Foral de Bizkaia, Bilbao. Stuart, A.J., Lister, A.M., 2014. New radiocarbon evidence on the extirpation of the spotted hyaena (Crocuta crocuta (Erxl.)) in northern Eurasia. Quaternary Science Reviews 96, 108–116. Diedrich, C.G., 2014. Palaeopopulations of Late Pleistocene Top Predators in Europe: Ice Age Spotted Hyenas and Steppe Lions in Battle and Competition about Prey. Paleontology Journal.